Linkage Community Trust is a registered charity supporting people with learning difficulties and disabilities. The aim of the charity’s Care Service is to support and enable residents to live as independently as possible. For some residents moving around the home can be difficult as heavy fire doors pose a barrier to some disabled residents, restricting where they can go unaided, which in turn reduces their independence. 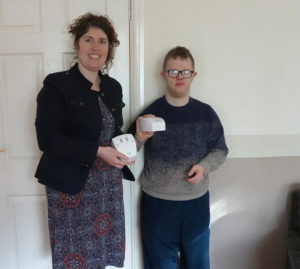 ‘Some of our residents have physical limitations which makes opening the fire doors without assistance really difficult and in some cases, impossible’ said Sophie Tuplin from Linkage Community Trust . 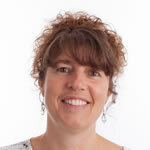 This can lead to reduced self-esteeem of residents who would otherwise be independently mobile. Linkage Community Trust needed to find a way to keep the fire doors open, whilst ensuring safety of residents in the event of a fire and also ensuring that they adhere to legislation. Safelincs have worked with Linkage Community Trust to overcome this problem, with Geofire Agrippa Acoustic Fire Door Holders being installed in some of their properties. Fitted to either the top or the bottom of the fire door Agrippa Acoustic Fire Door Holders will hold your fire door open; on sounding of the fire alarm the Agrippa will be activated, releasing the fire door and enabling it to close maintaining safety and preventing the spread of fire. Sophie Tuplin commented ‘The Agrippa Door Holders are great, they help us balance our responsibilities to keep people safe with our mission to enable individuals to become more confident and live more independently’. Installing the fire door holders has enabled residents to be able to move freely within the home, whilst ensuring that legal obligations, under the Regulatory Reform (Fire Safety) Order 2005, for fire safety of the residents and staff are met. Residents at the Westwood Care Home have given the Agrippa free-swing fire door closers their approval, as they provide the option to have their fire doors partially open leaving them feeling less shut off from the rest of the home, whilst retaining some privacy. The Agrippa door closer allows a fire door to be used just like a normal door without the resistance usually associated with fire door closers. However, the moment the closer ‘hears’ a fire alarm, it changes its operating mode and turns into a traditional door closer, closing the fire door to stop the spread of fire and smoke. Based in an Edwardian Town House in Chorley, Westwood Residential Care Home has chosen to have the wire-free fire door closers installed onto resident’s doors. Westwood offers a personalised 24-hour quality care service for up to twenty people over the age of 65, delivered by a highly-trained and well experienced team of staff. The Agrippa fire door closer is a battery powered device providing a safe and legal solution to holding open and closing fire doors. The door closer is discreetly installed at the top of the fire door providing restriction-free movement to make the door light and easy to move. The closer complies with the Building Regulations Approved Document M Section 3.10 Parts K & L, which state that fire doors should self-close when activated by the fire alarm, when the power supply fails or by a hand-operated switch. The closer is part of the Agrippa suite of products, which also includes an acoustically triggered fire door holder and pillow fire alarm. Fire safety company Safelincs operates a website www.firescout.co.uk that invites visitors to submit photographs of any potentially dangerous situations they have spotted. All entries are anonymous, the idea being to educate rather than ‘name and shame’. Safelincs then offers advice as to whether the situation could incur a fine and how much, if anything, it would cost to remedy the situation. A common misdemeanour is to prop open a fire door, sometimes with a fire extinguisher – a double transgression! Fire doors are an essential part of the fabric of a building and have two important functions in the event of a fire; when closed they form a barrier to stop the spread of fire or smoke and when opened they provide a means of escape. They are designed to be kept closed except when people are passing through them. In some businesses, and in places such as care homes or schools, closed fire doors can act as a hindrance to general mobility and moving around to perform essential tasks. However, there is a way in which the situation can be overcome without compromising safety or breaking the law. Safelincs provide a number of products manufactured by specialist manufacturer Fireco which allow fire doors to be kept open legally and safely. 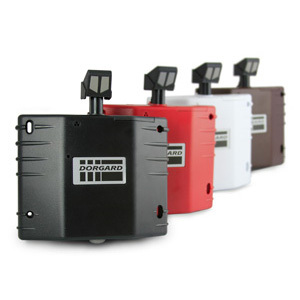 Each of these products works by responding to the sound (anything above 65 decibels) of smoke or fire alarms; the mechanism holding the door open is released and the door closer on the fire door closes it to prevent the spread of fire and smoke around the building. Dorgard, the first innovative product Fireco, is a wireless appliance that can be screwed the base of a door in less than five minutes. The standalone device will then hold the door open at any angle allowing freedom of access throughout the building. 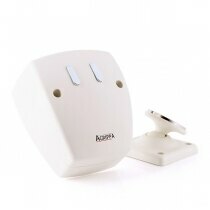 Utilising acoustic technology, Dorgard ‘listens’ for a continuous alarm of 65dBA or higher which, once heard, will automatically release the door. Dorgard is available in a variety of colours and finishes which will blend in with any décor. Fireco also produces System X which extends the versatility of Dorgard by linking several different devices and by overcoming the issue of noisy workplaces. A transmitter is wirelessly installed next to a fire alarm sounder or hardwired into the fire alarm system. In the event of a fire, System X will wirelessly transmit simultaneously to multiple Dorgard X or Deafgard X units within a 100 metre range. Safelincs will visit an organisation’s premises and undertake a free survey and make recommendations for siting an effective system. The latest product from Fireco is Freedor, a unique wire free solution that allows a door to free-swing just like a normal door and to be held open at any angle – automatically closing the door in a controlled manner when a fire alarm sounds. It utilises the same technology that is employed in Dorgard but is fixed unobtrusively to the top of the door. Using Freedor allows freedom of access throughout the building for disabled people and people less able to operate the doors, and assists businesses complying with the Equality Act 2010. The purchase price includes the installation through a professional installer. All these products have applications in a wide variety of environments and allow easy movement through a building without compromising safety or contravening fire safety regulations. To find out more about the Fireco range go to www.safelincs.co.uk and follow the link to Fire Door and Exit Equipment or call 0800 612 6537 where there are friendly experts on hand to offer advice. The Dorgard, a retrofit fire door retainer to allow fire doors to be held open safely, has long been a success in the UK. Well over 400000 units have been sold and have contributed to making UK businesses safer. The European continent has also featured for many years in the expansion plan of the Dorgard, which is manufactured in the UK. Safelincs achieved Austrian TÜV certification in 2008, Italian certification in 2009 and became sole distributor for Germany, Austria and Italy in 2008/9. With the introduction of a harmonised European standard for fire door retainers, the sales in Germany increased significantly. A further increase in customer awareness was achieved this year, when Gloria Germany started to sell the Dorgard through all its servicing centers and engineers. Gloria is Germany’s most prestigious fire safety brand. The logistics of the Dorgard sales from Gloria are handled by Safelincs through its Frankfurt based warehouse. dorgards are fire door holders that allow doors fitted with door closers to be held open but allowing them to close in the event of the fire alarm sounding. 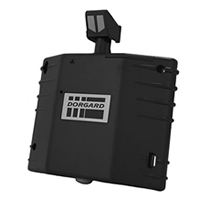 The dorgard is activated when the fire alarm sounds and then releases the door allowing it to close and function as a fire door. Holding doors open during the summer months is particularly important when offices get hot and stuffy. Occasionally, customers ask for more details with regards to the installation of dorgard fire door holders. To aid with installation tips, setting and maintenance as well as installation video tutorials, we have now launched a new sub-portal dedicated to the dorgard fire door holders. We are of course always available to answer customer calls as well if you have any further questions.